Elizabeth Mucci is a former team leader turn real estate agent who is killing it with real estate agent referrals she generates through real estate conventions. Listen to this interview with Lori Ballen as Elizabeth shares her purposeful strategies in generating these real estate leads and turning them into dollars! We go to events with a plan of action to meet certain agents, hand out our business cards, collect their business cards, and get to know them as well. 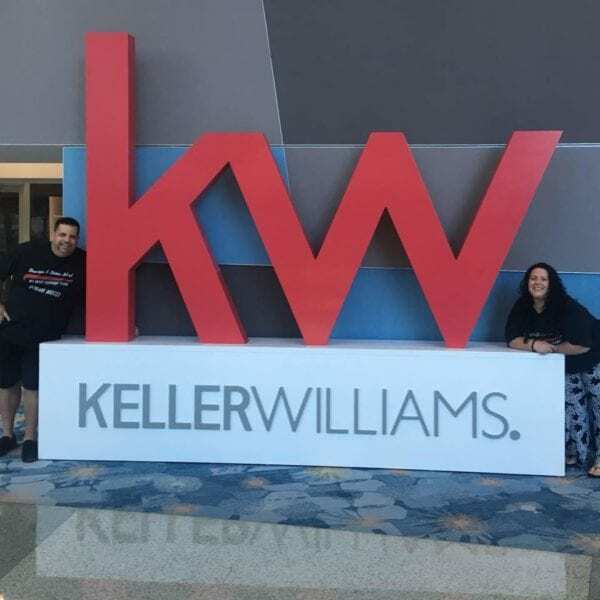 Vincent & Elizabeth Mucci, “Team Mucci at Keller Williams Realty Empire” are a husband/wife team that specialize in Selling Real Estate in Staten Island, NY where they have been lifelong residents and own a home. They pride themselves in always doing the right thing, communication and customer service to allow for a quick and stress-free transaction for their clients. Together they have a combined 16 years in the Real Estate industry. Elizabeth previously held a leadership role as a Team Leader for 4 1/2 years and helped launch the first Keller Williams Realty office in Brooklyn, NY and building it to 130 Agents. Her focus was recruiting, growth and profitability of the Market Center and helping her top agents reach the next level in their business. Before getting into Real Estate full time, Vincent worked in the Financing Industry which has helped his clients and customers. Vincent & Elizabeth have successfully been selling homes quickly and at 99.8% of the listing price. They attribute this success to their marketing plan to get their clients home the most exposure. They are committed to having a professional online presence so your home shows in the best light possible and reaches a record number of Realtors from Staten Island, Brooklyn, NYC, Queens and beyond because let’s face it – you never know where your buyer is coming from. Lori: Hey everybody, thank you so much for joining me today. This is Lori Ballen with Lori Ballen Real Estate Team here in Las Vegas. We serve Las Vegas, Henderson and North Las Vegas. 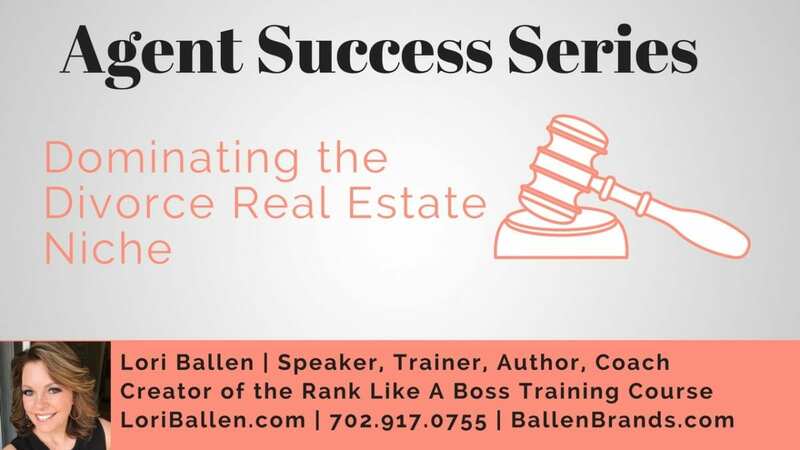 I’m also the owner of Ballen Brands, where we develop real estate agent websites (lead generation system) and do your pay per click marketing and blog content and all of that good stuff. 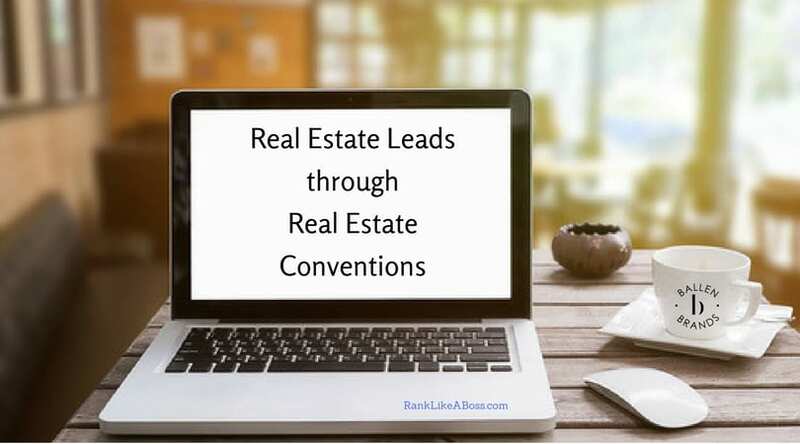 My series here is focusing on what my favorite topic is, which is real estate lead generation. I’m out interviewing real estate agents across the nation on how they are generating real estate leads at a high level. Our goal is to bring you strategies that you can actually apply in your business right away and actually duplicate the process. Today, I am going to talk with … Well, we’re only going to talk with one of them. We have Vincent and Elizabeth Mucci, Team Mucci, a Keller Williams empire. We’re going to talk with Elizabeth here today. Do you go by Elizabeth or Liz? Lori: All right, because I’m going to read it and I want to get it correctly. All right, so they are a husband and wife team that specializes in selling real estate in Staten Island, New York where they have been lifelong residents and own real estate themselves. They pride themselves on always doing the right thing, communication, and customer service to allow for quick and stress free transaction for their clients. Together they have a combined 16 years in the real estate industry. Now, here’s what I find really interesting. Elizabeth previously held a leadership role as a team leader for 4-1/2 years and helped launch the first Keller Williams Realty office in Brooklyn, New York. Liz helped build it to 130 agents. Her focus was recruiting, growth, and profitability of the market center and helping her top agents reach the next level in their business. Before getting into real estate full time, her husband Vincent worked in the financing industry, which has helped his clients and customers. Now, together they are working real estate. Last year they closed, well a quarter million in GCI there and, let’s see, Liz’s first job was at 17 in a real estate office as a receptionist. I find that interesting because that was also what I did. At 17 years old I was also a receptionist in a real estate office. 13 years later, she never looked back. Welcome, Liz, to the show. Elizabeth: Thank you so much, so happy to be here. Lori: All right, so let’s talk about your primary lead generation source, is agent to agent real estate referrals. Is that correct? Lori: Let’s talk about that. That’s a huge business, and it’s actually well over half of my business as well, so I’m really keen on the opportunity that is there for us real estate agents to strategically work real estate referrals and networking. Let’s start with your conventions. Tell me about your conventions and how you strategically attend conferences and conventions and work real estate agent referrals. Elizabeth: Yeah, so, exactly what I’m doing right now. I’m preparing right now for us to head out to family reunion next week. You know, most people prepare by figuring out, okay, what outfits are they going to bring, what jewelry, what things are they going to bring to make sure that they look their best at the convention. Where, we have an alternative route to that. We figure out, how can we stand out? We’re in a room with 15,000 plus other agents from across the world. We actually tested this out last year because it was my first Keller Williams convention as an agent, not being in leadership. We had some personalized shirts made up saying, “Your real estate connection specializing in Staten Island real estate.” You know, I only brought maybe four or five of those shirts for me and my husband. In addition to that, we made personalized business cards that talked about our business, talked about us as agents and we’re lifelong Staten Island residents. We specialize in Staten Island. We know the area. We focused on that and how we can help other agents refer us business. It becomes that, you have to help other people refer you business. When we go to these conventions we go knowing that we’re going to meet certain people, we’re going to attend certain events, and we don’t necessarily hang out with our group from our office. Although we love them, we get to see them every day and our convention is intentional. We go there with a plan of action to meet certain agents, hand out our business cards, collect their business cards, and get to know them as well. Lori: I think that is such great advice for those listening. I am with Keller Williams also, and this is going to be my eighth family reunion. I can’t even believe it’s been that long already. Every year since the first year I did exactly what you did and had a very specific strategy. “This is how we’re going to brand ourselves.” One year we had shirts all made that I was in Las Vegas, our backpack had Las Vegas on it, we had buttons that had Las Vegas on it. This year I’m branding as my marketing company, so you’ll see our custom t-shirts there for the marketing company. I think what I spotted early on was that a lot of the market centers, they grouped together. They had their flags up, everybody was sitting together and then they had their awards and they had their dinner and, “Hey everybody, let’s go,” and we said, “You know, this does not make sense for marketing.” The market center rallies are for home, not for conventions where you’re going to meet other people. I stand by your decision on that, absolutely. Elizabeth: One funny thing in addition to that, last year I went with the intention of meeting one very specific person. We happened to get there early, and we met that one person. I know that this agent does not refer business out to anyone he has not met himself. You know, seeing the referral groups and things like that. I said, “You know what? If I go out there and I at least connect with this agent, it would have paid for the trip itself.” From that one connection in 2017, I got six referrals. Not necessarily from him directly, but from him referring other people to me. I said, “It literally paid for the trip tenfold.” It did. Lori: That’s something that people don’t understand is, there is so much indirect business that comes off of those relationships. If you get in with one influencer that knows a lot of people, or, how about something like I don’t know how it is in New York, but in Las Vegas, California is going to refer a ton of business over to Las Vegas. Florida refers a bunch here. If we know where we get a lot of our referrals, strategically introducing and meeting people that are in those other locations is idea. They’ll tell somebody else, “Hey, who do you know in Las Vegas? Oh, that’s Lori Ballen team. Who do you know in,” even if they don’t have it themselves, you’re exactly right. Elizabeth: The funny thing is, is just before our call today, I got a referral from the New York area of someone who referred someone to me. They had posted on Facebook, “Hey, I need a Staten Island agent. Who do you know?” Someone else tagged me in that. Last week itself, just last week, I got six listing referrals. Elizabeth: Six listing referrals by just agents texting me saying, “Hey, so-and-so referred you and said that you’re the best when it comes to Staten Island. Can you please help my friend out?” Priceless. Lori: I think what’s interesting too is, going back to what you said too about the t-shirts. This is something that I don’t think people understand. I send a ton of outbound referrals also because of how I lead generate. 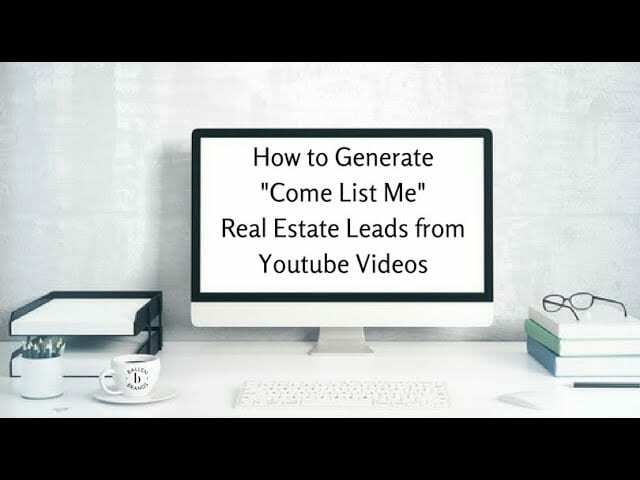 I’ll tell you, I know thousands and thousands of real estate agents that I have met throughout the years from networking or teaching, or whatever. I can only remember a few of them as far as where they’re from, because we get to know the person, we get to know the name, we get to know the personality, but we don’t get to know what city they’re from unless it’s somehow drilled into us without us realizing it’s being drilled into us. On the back, I actually put a map that covers New York City, so Manhattan, Brooklyn, Queens, the Bronx, and New Jersey, and I put two arrows just pointing to Staten Island and Brooklyn, because I do cover some Brooklyn as well, because people then can at least relate and say, “Well, I don’t know where Staten Island is, but I know where New Jersey is.” Now, hey, when I get a phone call, I can easily connect and say, “Okay, you want New York. Is that near New Jersey or is that near the Bronx?” You know, just giving people that help to kind of figure out where exactly it is that you are, because most people are not going to necessarily know Staten Island, they’ll know New York. Lori: You know, my favorite handouts, and maybe you do this, at those conventions is when somebody’s going to hand me a post card or something like that, when it’s got some sort of snacks attached to it. Lori: You’re at a convention, like put two little cookies in there or a mint or a chocolate something. I’m bound to at least open the package and glance at the post card. If somebody just gives me a post card, it usually just goes in the bag and I’m probably not going to do a whole lot with it after the fact. As long as we at least look down at it, right, even if it’s only that millisecond of getting a mind share picture of you guys in your shirts that say Staten Island, that could be enough to create that memory last time. Somehow, it’s our job as real estate agents to get it in other people’s minds what our name is, what our location is, where we serve, that is really on us. It’s our obligation. We can never just depend on those referral groups, because although that’s a great way to get started, if you’re in a popular area you’re going to be competing against all the pay to play people that are all paying to be part of the group so they all say each other all the time, so it gets really political and tough to have that. We’ve got to make sure that we’re constantly reminding people that we’re the ones in that area. What else are you doing? Are you collecting cards or scanning or doing any sort of follow up after the convention? Elizabeth: Yeah, so we typically follow up with a phone call a few days after the convention, because it can get extremely overwhelming one or two or three days after, trying to implement systems and remembering everything that you were supposed to do. Usually a week after the convention I’ll always make a phone call or do a quick text message video, because you know, just video, people are going to open their text message, they’re going to click on the play button, and now they see your face and they remember you. We’ll always do that. We’ll always do note cards, personalized note cards to each person. Put them into our database. Then, on that initial phone call with them is where I try to present my value to them. Meaning, I don’t necessarily want to spend that phone call with them getting to know me. It’s more about, how can I help refer business to you, and really show them that there is a value into our relationship because I do want to refer business to that person. Getting to know their area, getting to know where their business comes from, and that’s been a huge help because I am necessarily not just referring my own people to these agents that I build relationships with, agents in my office look at me as a resource because I was a team leader. They’ll say, “Hey Liz, who do you know in Vegas?” I’ll say, “Got to go to Lori Ballen, of course.” You know, I will connect them with other agents that I meet by going to these conventions, so it’s not necessarily just the business that I can give you, it’s the business that everyone in my office can potentially give you too. My whole down line, you know, with Keller Williams, in my personal down line I have over 200 agents. Elizabeth: You know, [inaudible 00:14:28] there can I help get referrals to you. When you do that for someone, there is nothing else that can compare to that, when you really want to provide them with the value and it’s not just about me. Elizabeth: And what I can get. Lori: Do you have any other people on your team, or is it you and your husband? Elizabeth: It’s just me and my husband. We are implementing a admin for this year. I do know that we can close more transactions. We did close 27 transactions in our first year selling real estate after my leadership position, with 25 of those units being agent to agent referrals. Our goal this year is 50 transactions. Lori: Which is so incredibly doable, especially on the path you’re already on. Lori: You know, it’s interesting. Because I do such a huge business in referrals in myself, I built a software system out of Infusionsoft for the management and tracking of referrals. It kind of became my obsession for a while, and I started really measuring how much profit we make off of referrals, the cost of sale, and I’ll tell you what. 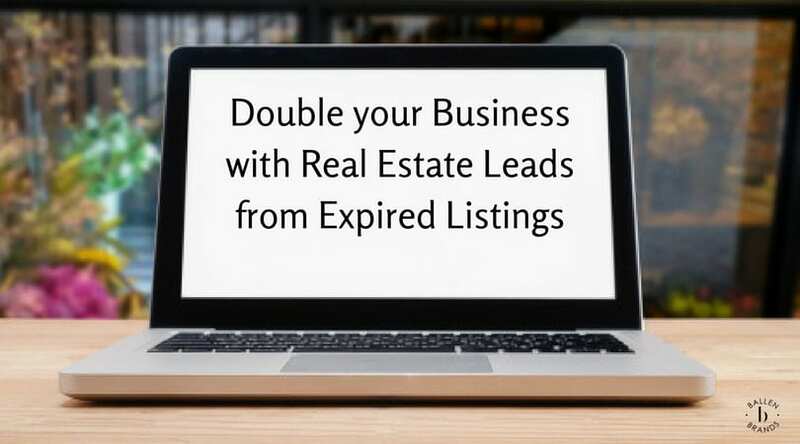 I think for an individual agent and for a husband and wife team, there isn’t a better lead source, I mean, there isn’t a better way to make money unless you’ve got a lot of past clients sending you referrals of course. That’s better, because then you’re not paying referral fees on top of it. Lori: Just doing this one thing, if somebody has a good personality or has a mind for branding or is great at networking, can go out, and in their first year can create some great relationships like with what you’re talking about by adding value and wanting to send somebody else referrals, and it’s not going to cost them more than it would cost them doing paper click marketing, or any kind of, you know, the prospecting and tying in. It’s just another lead generation source that can also be a massive return. Now, when you get into the team building structure, I can tell you it gets a lot tougher. Like, on my team, if somebody gives me a referral, we pay the 25 or 35% off the top, and then the agent on my team and I split what’s left then, and then we do our splits after that. I’ll tell you what, if you asked any of my agents on my team, they’ll tell you they’ll take a referral all day long over anything else, even though they have to [crosstalk 00:17:00]. Lori: Top, because they’re [inaudible 00:17:03] generally warmer, right? Elizabeth: Yeah, but there’s such a misconception where, you know, agents think, “Oh wow, your business is easy. Oh, you know, you’re lucky. You get all these referrals.” People who run a referral business understand that the same way someone lead generates for expireds or for sale by owners, is the same way that we intentionally lead generate for referrals. I don’t just wait for the Keller Williams conventions to come around. Elizabeth: It’s intentional, it’s not easy, but I would definitely say if you’re not ready to build the business of referrals, don’t start. You can’t just try it out. You’re a reflection of the agents that refer you business, and I take that extremely serious. I know that I am the reflection, if you refer me a listing, I am your reflection. If I do a bad job, that may mean that you may not get a listing or you may not get another transaction from that potential seller. That, to me, is extremely important. Lori: Right. Generating referrals, it’s a constant focus from generating the referrals to working them to getting the reviews afterwards to following up with that agent to let them know how everything went, that you want their continued business. The second you take your eye off again, now your competition in your office or the office down the street is now getting that [crosstalk 00:19:22]. Lori: It’s just like anything else. It’s just like cultivating a sphere of influence or geographic farming. It takes money, it takes time, it takes focus, it takes effort, and it’s a constant strategy. I think it’s scalable, because all you have to do is touch more agents. Lori: If you got to 50 closings this year, and then next year you want to go to 75, well this year you’re bringing on an admin, next year it may take bringing on a buyer’s agent, but it’s scalable. As long as there’s enough referrals going to Staten Island and going to your team, it’s scalable. Now, it may not be as scalable in a small town that nobody knows. For those people, that might be a little bit different, but if you’re in an area that is known at all and generates and kind of referrals, it’s a massive business. Lori: Really, really big. Well wonderful. Is there anything else that you think anybody who wants rock it out with real estate referrals needs to know? Elizabeth: Yeah, I would just give maybe two tips. Do not put agents in your spam emails. Agents don’t care about your listings unless they’ve personally asked you to send them listings, and there are agents that I do referral business with that I say, “Hey, can you put me on your campaign? I want to see all the new listings that you get,” and you kind of cross-market. They don’t want your newsletter. They’re going to unsubscribe from you, and then they’ll never see anything from you again. If you’re going to put them on some sort of an email list or a campaign, be, again, intentional about it. Let it be something of value. Let them know that they’re going to be getting it. Also, another thing, especially with going to these big conventions like family reunion is, don’t feel that if you meet two agents from the same area that, “Well, you know, hey, you’ve already met John, I’m not going to give you my business card because you’ll refer business to him automatically. You already have his information.” I refer agents with picking what my client’s personality is. I have multiple referral partners in the same area, and I dictate who the referral is going to based on the personality and what that person specializes in. Don’t automatically be shut down and say, “Well, you’ve already given your card out to the agents in my office. I know we can’t do referral business, you’ll never refer business to me.” Just be open minded, be committed to the process from start to finish, and just be intentional. Choose every aspect of what you do in the business as an opportunity. Every encounter that we make, whether it’s with an agent or with someone else, it’s an opportunity to connect and build a referral based business. Lori: That’s right. Every introduction is an opportunity, that’s exactly right. Lori: I’m with you completely. I do the same thing, I don’t have exclusive relationships with certain areas. I get all their information and sometimes it’s specialty. I might need a short sale agent somewhere or a luxury agent in one place or somebody that works with investors and somebody that speaks Spanish. It’s all kinds of different requests. Why would we ever lock ourselves in to just one person? Lori: It’s just not a one size fits all industry. There are specialties all over the place and we need to make sure we have a really good, hearty database that we have lots of options on who to connect with, so I agree absolutely. I’m fascinated by the fact that you went from team leader to agent and rocked it out that fast. I’m guessing that you’ll tell us that the team leader skillset and the real estate agent skillset of lead generation probably aren’t that different. Elizabeth: Not that different at all. Lori: Yeah. There’s a reason they pick mega-agents to become team leaders. Right? Elizabeth: Exactly. I’m so lucky to have had the best training to be able to implement that into my first year back into the business and just really do a great job. Lori: Absolutely. Well, I’m looking forward to seeing you next week in Anaheim. I’ll be looking for Staten Island out there. We’ll make sure that we connect and I’ll get this blogged up and podcasted up and transcribed and get a link back to website so everybody knows that they can send referrals to Team Mucci, and Liz and Vincent are at teammucci.com. Staten Island, Brooklyn, and New York. Lori: Right? All right, well thank you so much and I will see you soon. Elizabeth Mucci is a former team leader turn real estate agents who is killing it with real estate agent referrals she generates through real estate conventions. Listen to this interview with Lori Ballen as Elizabeth shares her purposeful strategies in generating these real estate leads and turning them into dollars!